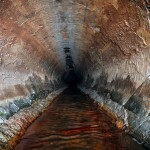 Sewer lines become blocked. Storm water lines break. Traffic is interrupted, and the health and safety of your community are at stake. 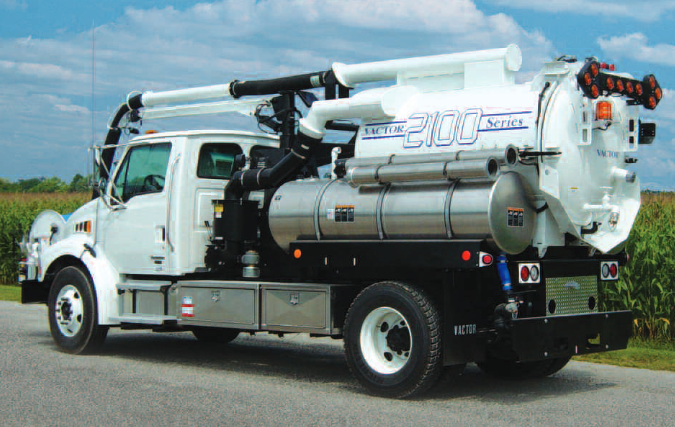 When the going gets tough, you need tough equipment to help you through — like the Vactor 2103. 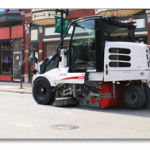 Powerful yet maneuverable and cost-efficient, the Vactor 2103 is a responsive, economical and versatile solution to all your sewer cleaning needs. Trouble-free hydraulic power eliminates maintenance and adjustment problems that frequently plague chain and sprocket systems. 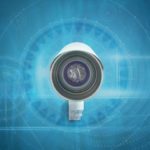 Provides effortless up/down, in/out and left/right movement for easy positioning and 120-degree rotation in hard-to-reach areas. Maximum inlet volume of 2,100 cfm and 15 in HG vacuum. 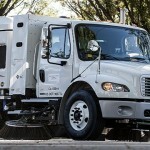 Blower is rotary-drive type, positive displacement, chassis-driven directly through transfer case, and the beltless drive eliminates intensive maintenance and drive line slips. 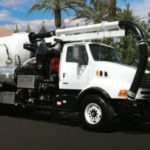 Other features of this remarkable machine include direct-driven hydraulic water pump, easy load, fast dump debris body, multi-storage blower filtration system, exclusive JetRodder water pump, front-mounted hose reel, aluminum water tanks and multiple options including debris body flush out, stripe packages, body load limit alarm, hose footage counter, rear door butterfly valve, cold weather recirculation, pump-off system and Y-filter at tank fill. To learn more about the Vactor 2103 or to schedule a free demo, contact us today!